Bettman and Halpin (Stephanie and Luke, respectively) are fast earning a reputation for hypnotizing performances filled with irresistible lyrics, transcendent harmonies and roof-raising instrumentals. They have created their own blend of bluegrass, Americana, pop, ballads, and jazz that defies labeling as anything other than extremely talented, utterly engaging, and enjoyable music. They have twice been a featured act at the Walnut Valley Festival in Winfield, KS along with musical heroes Byron Berline, Michael Martin Murphy w/ Pat Flynn, and Tommy Emmanuel. 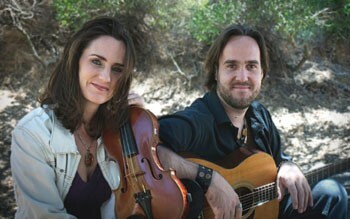 During their decade of touring they have garnered credentials including Grand Prize at the SoCal Live Acoustic Music Competition as well as having their CDs in the top 10 on the National Folk DJ chart.